Watching Halloween stuff on tv and drawing at the same time. 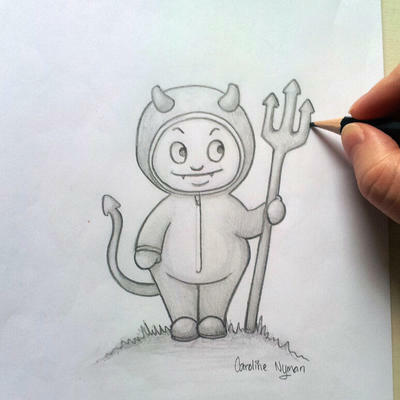 This is some little boy in a devil costume, it didn't turn out anything what I had imagined but that's how it goes sometimes specially without an undo button! At first I didn't even wanted to share it online since I'm not really happy with it but what the hell, today I'm too tired to care. Didn't get much sleep since the noisy storm was keeping me awake all night.